I expected the guns to kick. I expected to be knocked off my feet. I expected to be unable to aim the heavier caliber pistols and revolvers, rifles and shotguns. I expected to be humiliated by missing the target completely. None of that happened. At first, my arms shook a bit as I aimed the handguns, but that could have been due to being past my first youth (and perhaps even my second youth) or else it could have been due to the unaccustomed stance. 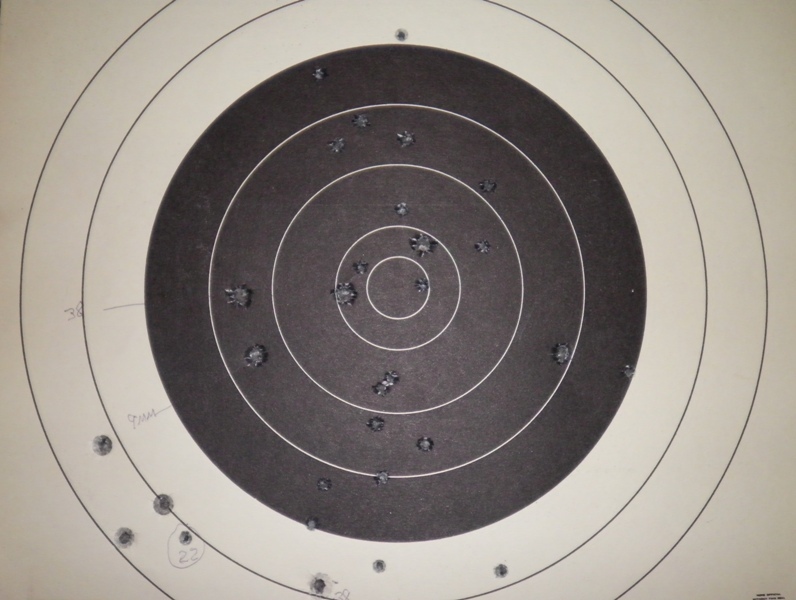 Still, I managed to aim, managed to hit the target. Managed to get a bullseye even. Kept on my feet the entire time. Didn’t even rock. The shot came as a surprise, but not a shock. After the pistol range, we headed to the shotgun range. There we shot stationary clay discs, and I got three out of three. Then we tried the flying discs (they might have been called clay pigeons, but they sure looked like mini dayglo orange and green frisbees to me). I never quite the hang of it. Mostly shot too soon. The problem women have that big men don’t have is that to balance the shotgun properly, we have to lean into the stock to keep it balanced and to allow the force to travel up through our arm into our body mass. This is fine while shooting stationary discs, but leaning forward to shoot while following the disc with one’s eye and hopefully one’s arms, turned out to be difficult for me. Still, I did manage to kill one of the suckers, but one out of twelve tries isn’t anything to brag about. 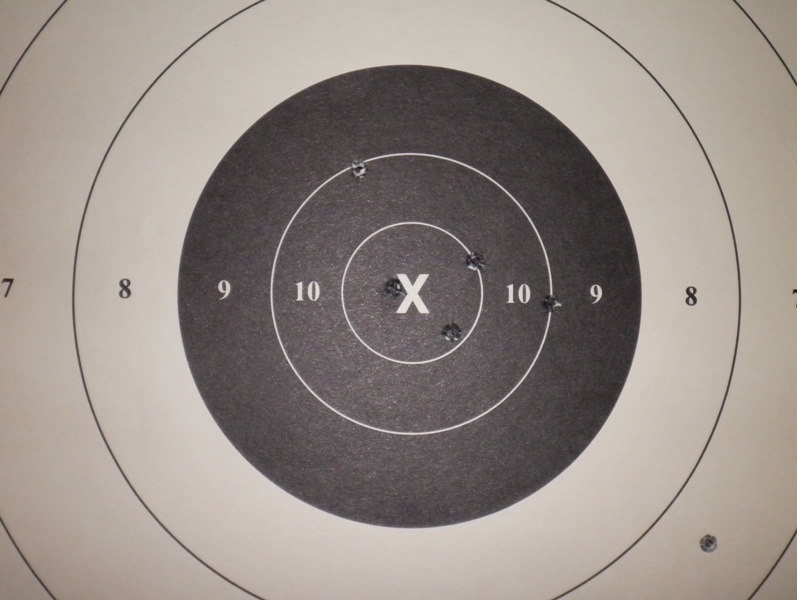 Then we moved on to the rifle range, and there I was deadly!! Hit the 100 yard target three out of three times. Hit the 200 yard target three out of five times. Hit the metal animal targets ten out of ten times. Hit the 50 yard paper target every time and even got a bullseye. Besides learning how it feels to shoot, I learned how easy it is to forget firearms are deadly weapons. Several times after hitting the distant paper target, I was so excited I wanted to run out to see how I did. Of course, I managed to contain my curiousity or I wouldn’t be here talking to you. I’d be in a hospital or a morgue — there were a lot of people shooting that day! I’m also ashamed to admit that after killing my clay disc, I lifted the shotgun in the air in impromptu exhiliration. So not the thing to do! Eek. I also know why in books and movies the good guys always yell, “Halt!” before they shoot. Perhaps, like me, they can only shoot stationary targets and want to make sure they hit their man. Oh I wish I could have there with you! It sounds like so much fun. I’ve been shooting literally since I was about 2 years old. My father held my hand and helped me shoot his 38 revolver. You sound like a natural! Calamity Jane…or should I say Calamity Pat? It’s nice to know just what your character feels while doing something. Good for you.